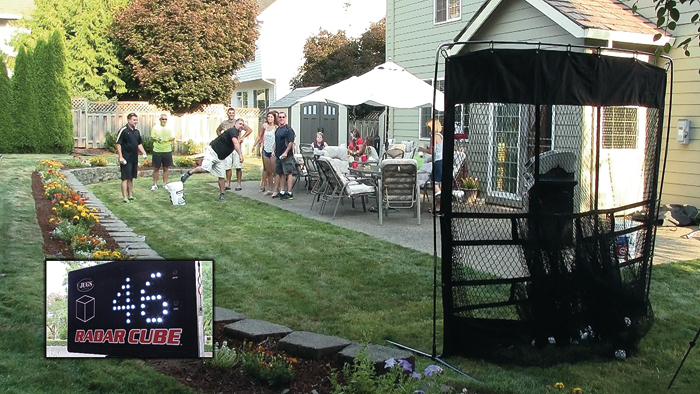 The JUGS RADAR CUBE™ not only measures velocity, but also teaches pitchers the value of changing speeds. 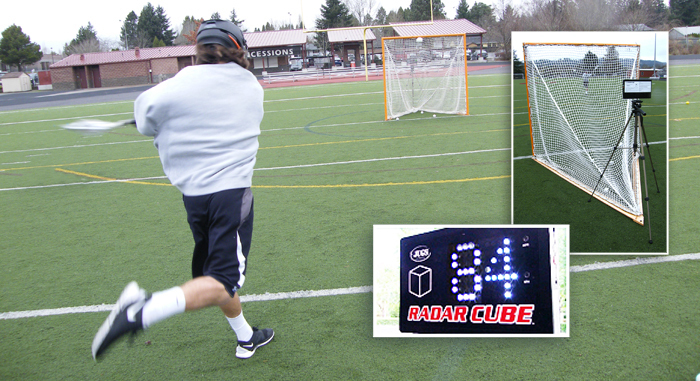 The JUGS RADAR CUBE™ shares the same accuracy index as the world famous JUGS Radar Gun. Portable Compact Design: Size: 7'' high x 11'' wide, Weight: 1.5 lbs. Operates on 6 AA batteries (included) or with the optional AC adapter (sold separately). Clock speeds from 32 mph–100+ mph. Large bright 3'' LED numbers—Great visibility for indoor or outdoor use. Players, coaches and fans see real-time accurate speeds. Tripod mount or hanging compatible. 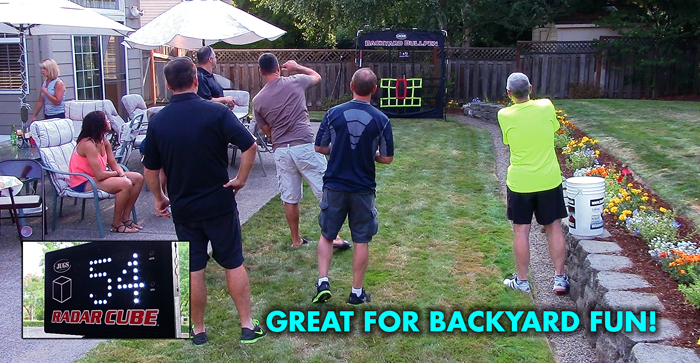 Great for Baseball, Softball,Lacrosse, Speed Pitch Booths and other ball-related sports. Use this Power Transformer for connecting your JUGS Radar Cube directly to 110v outlets for extended use. Also a replacement Power Transformer for the JUGS Toss Machine.